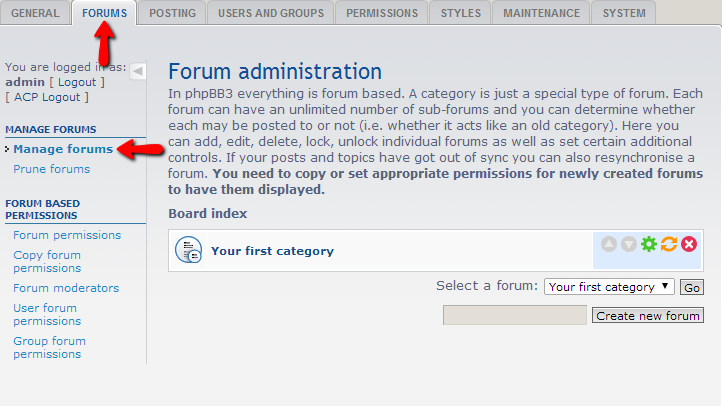 phpBB is a forum platform which will allow you to create multiple forums and to manage those via a centralized interface provided in the Administration Control Panel of the platform. To begin you will need to login into the Administration Control Panel of your board and then navigate to Forums>Manage Forums. 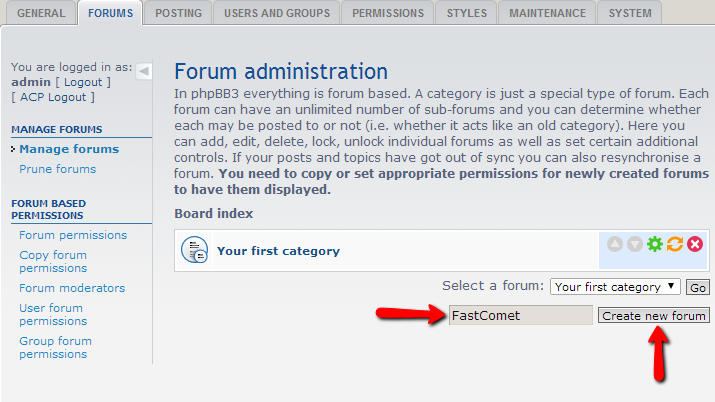 There you will be able to easily create forums by entering the name of your new forum in the text box before the Create new forum button and then by pressing that button. 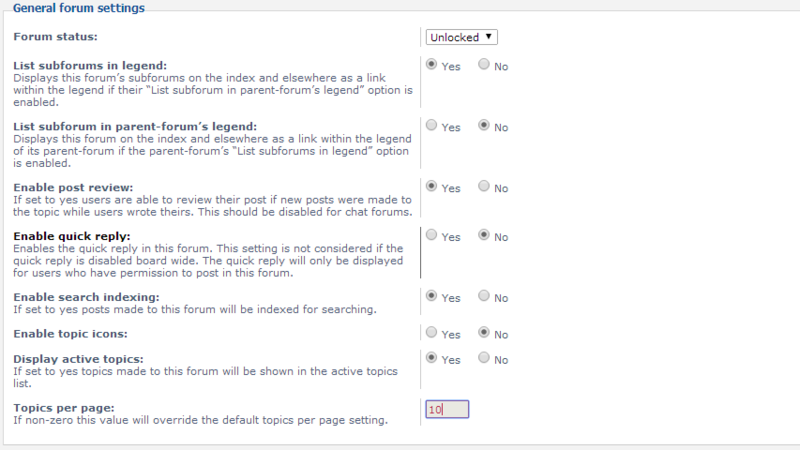 Then you will be redirected to the forum creation page where there are quite a large amount of options to configure. The next interface with settings is called General forum settings and it contains mostly radio buttons with simple “Yes” or “No” options. Enable quick reply – Simply enables the quick reply feature. 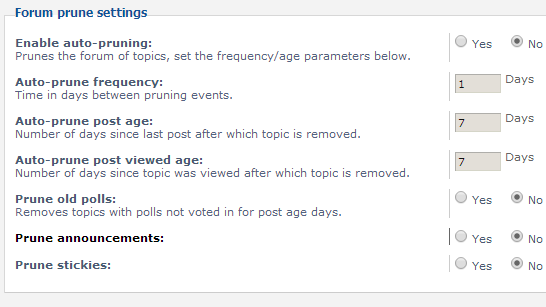 The last section is called Forum rules and it is used for specifying or linking existing forum rules to the rules for the forum you are currently creating. 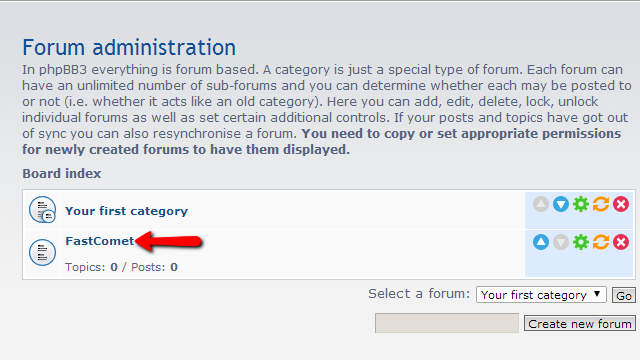 As soon as you are ready with all these changes you should go ahead and click on the Submit button so your Forum can be created and all of the settings saved. 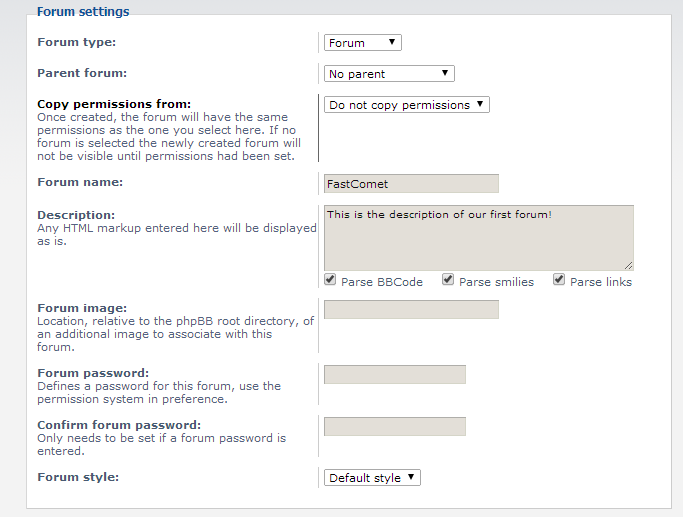 That is all you need to create the forums via the phpBB platform!